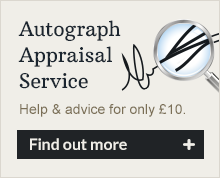 We do actively seek to Buy Autographs from members of the public and from family collections. * Autograph Books and Autograph collections that date prior to the 1990s. We prefer these to be in their original state, multi-signed still in their books whatever the condition. * Pop Music / Entertainment / Sporting / Vintage / Historical / Pioneers autographs and signed documents. 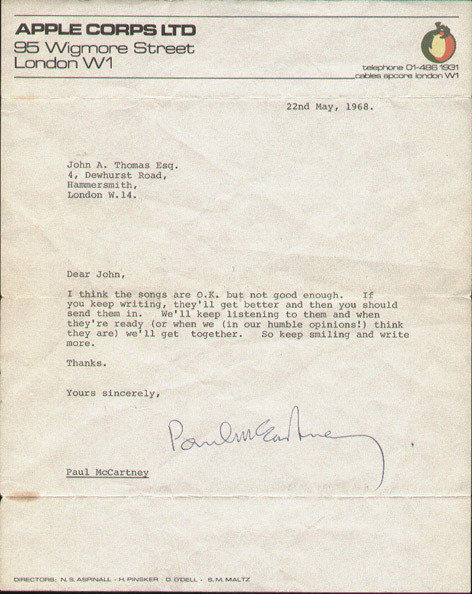 * Our specialist interest is in Pop Music autographs dating between 1960-80s. * Pop Music programmes / flyers and ticket stubs dating between 1960-80s. * Anything from specialist in-person autograph collectors who can include detailed signing information. It is still worth contacting us, but we are not generally going to be interested in framed collections accumulated or purchased from dealers over recent years of more current celebrities, as we tend to specialise in pre-1990s material. We will not be interested in framed football memorabilia and framed sports clothing bought from dealers or charity auctions. WHEN CONTACTING US initially, please email just the basic written details of the items you have; Autograph List / What Signed On / Size / Source and where it came from or any known history. DO NOT PLEASE send any image scans on your first contact. We will ask you to forward these only after we reply to you confirming our interest in any items you have.